And unto the angel of the church in Sardis write; These things saith he that hath the seven Spirits of God, and the seven stars; I know thy works, that thou hast a name that thou livest, and art dead. 2 Be watchful, and strengthen the things which remain, that are ready to die: for I have not found thy works perfect before God. 3 Remember therefore how thou hast received and heard, and hold fast, and repent. If therefore thou shalt not watch, I will come on thee as a thief, and thou shalt not know what hour I will come upon thee. 4 Thou hast a few names even in Sardis which have not defiled their garments; and they shall walk with me in white: for they are worthy. 5 He that overcometh, the same shall be clothed in white raiment; and I will not blot out his name out of the book of life, but I will confess his name before my Father, and before his angels. 6 He that hath an ear, let him hear what the Spirit saith unto the churches. “Sardis was situated almost directly south of Thyatira, in the direction of Smyrna and the sea. Its greatest days were behind it, but this once proud capital of the ancient kingdom of Lydia (later the western capital of the Persian Empire) was still, under Roman rule, an important center of the woolen industry. The LORD tells the congregation at the church of Sardis that He holds the seven Spirits of God and the seven stars. We know what the stars are because they’ve already been identified: they are the leaders, or the pastors (“angels”) of these churches – and the LORD holds them in His hand. Then what is this, about “the seven Spirits of God”?? This is also mentioned in REV 4:5 and REV 5:6. There is just One Spirit of God, right? The Third Person of the Trinity – the Father, Son and Holy Spirit – so what is this about “the seven Spirits of God”? 7 And to the angel of the church in Philadelphia write; These things saith he that is holy, he that is true, he that hath the key of David, he that openeth, and no man shutteth; and shutteth, and no man openeth; 8 I know thy works: behold, I have set before thee an open door*, and no man can shut it: for thou hast a little strength, and hast kept my word, and hast not denied my name. 9 Behold, I will make them of the synagogue of Satan, which say they are Jews, and are not, but do lie; behold, I will make them to come and worship before thy feet, and to know that I have loved thee. 10 Because thou hast kept the word of my patience, I also will keep thee from the hour of temptation, which shall come upon all the world, to try them that dwell upon the earth. 11 Behold, I come quickly: hold that fast which thou hast, that no man take thy crown. 12 Him that overcometh will I make a pillar in the temple of my God, and he shall go no more out: and I will write upon him the name of my God, and the name of the city of my God, which is new Jerusalem, which cometh down out of heaven from my God: and I will write upon him my new name. 13 He that hath an ear, let him hear what the Spirit saith unto the churches. Philadelphia was a city of some importance founded in the second century B.C. by Attalus, king of Pergamum, in honor of his predecessor, Eumenes Philadelphus. The city was strategically situated in a fertile river valley on the main road from Sardis to Laodicea, directly east of Smyrna. The message to Philadelphia has captured the minds and hearts of Christians through the centuries because no other message (not even the one to Smyrna) is so rich in promises. The LORD's self-identification (v. 7) sets the stage for the first promise (v. 8), which is given unconditionally to the saints at the Philadelphia congregation. Historically speaking Philadelphia is placed between the Reformation Period (represented by Sardis) and the time of apostasy that is occurring now and will culminate during the reign of anti-Christ – yet future. Philadelphia then would represent the time period of the mid 1600’s to the early 20th century – which was the time of Evangelicalism and the Great Missionary Movement. 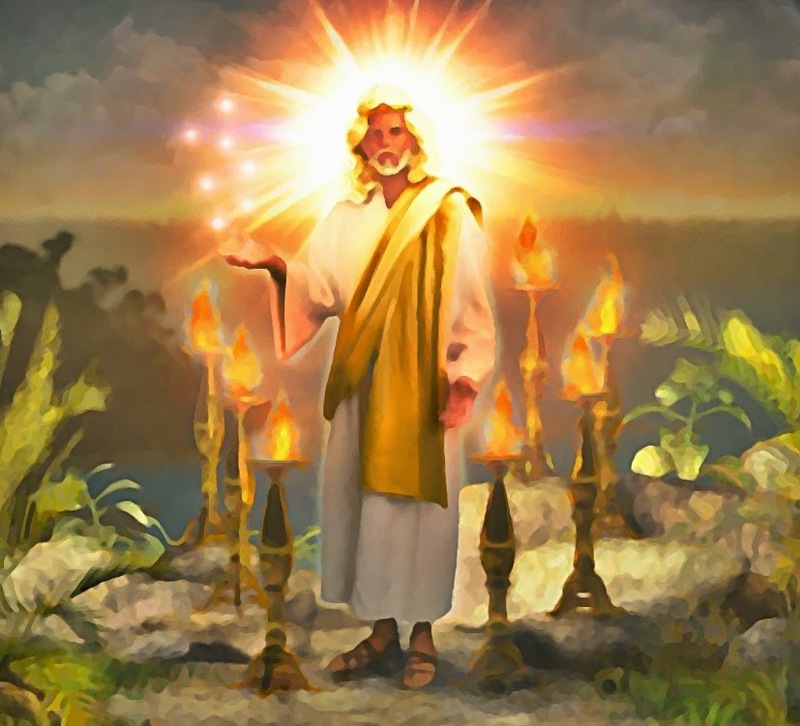 14 And unto the angel of the church of the Laodiceans write; These things saith the Amen, the faithful and true witness, the beginning of the creation of God; 15 I know thy works, that thou art neither cold nor hot: I would thou wert cold or hot. 16 So then because thou art lukewarm, and neither cold nor hot, I will spue thee out of my mouth. 17 Because thou sayest, I am rich, and increased with goods, and have need of nothing; and knowest not that thou art wretched, and miserable, and poor, and blind, and naked: 18 I counsel thee to buy of me gold tried in the fire, that thou mayest be rich; and white raiment, that thou mayest be clothed, and that the shame of thy nakedness do not appear; and anoint thine eyes with eyesalve, that thou mayest see. 19 As many as I love, I rebuke and chasten: be zealous therefore, and repent. 20 Behold, I stand at the door, and knock: if any man hear my voice, and open the door, I will come in to him, and will sup with him, and he with me. 21 To him that overcometh will I grant to sit with me in my throne, even as I also overcame, and am set down with my Father in his throne. If the church at Philadelphia was given an "open door" (REV 3:8), individuals at Laodicea are told of another door, one that they must open themselves (this refutes the idea in Calvinism that we have no choice in the process of salvation, that God determines apart from us, who will and won’t be saved): “Here I am! I stand at the door and knock. If anyone hears my voice and opens the door, I will come in and eat with him, and he with me (REV 3:20)”. In pictures of Jesus "knocking at the heart's door" you will notice that there is no door knob on the outside. This is a door which can only be opened from within. What is wrong is that Jesus is standing outside the door, excluded from the banquet like a homeless stranger! The earnest plea, though directed first to the church at Laodicea, is strategically placed near the end of these Seven Love Letters from Christ's last appeal to any congregation that has shut him out. The beautiful "invitation" is at the same time a severe and scathing indictment of a church that is self-sufficient, independent of Christ, complacent where godliness is concerned and contented in the world – only marginally, barely recognizably Christian!! The LORD instructs the apostle John to write concerning the things which were (those things which he had seen and recorded in Chapters 1 and 2); the things that are (in his day, the seven churches of Asia Minor as recorded in Chapters 3 and 4); and the things that shall be “hereafter” (which involves the remaining chapters 5 through 22). We focused on chapters 3 and 4, and prayerfully what I hope to do, LORD willing is to do a full study on the book of REVELATION on The TRUTH Under FIRE. 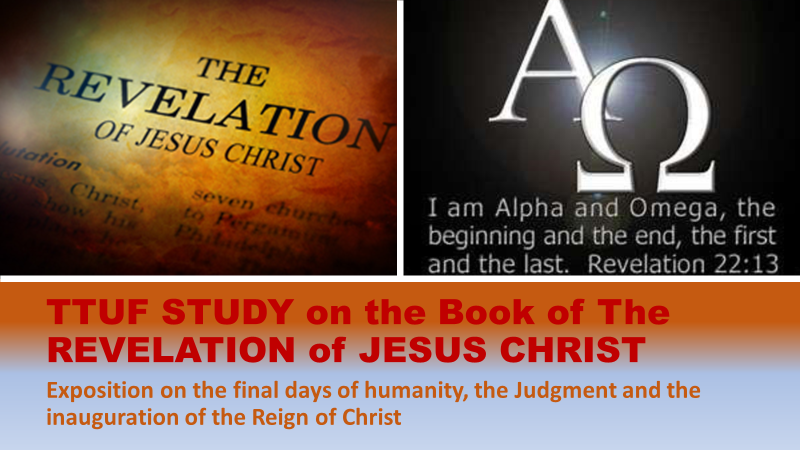 In summary, what have we learned (from the introduction of this series and) as the main lessons that the LORD is instructing these seven churches, and what must be done to correct the problems and issues that they faced? Let’s go over them briefly before we conclude this series with a brief treatment of the doctrine of the rapture of the church. So, let us stay true to our first love, as Ephesus was to do, because we are “beloved” of the LORD. Let us not fear persecution and sufferings and attacks by the enemy and be faithful to the LORD even if it means physical death, yet surely becoming 'dead to self' daily - and we shall receive a crown of life as Smyrna was promised. Let us keep ourselves pure of worldliness, false doctrine and religion, and spiritual fornication as Pergamos, Thyatira and Laodicea were stained with. Let us be sure that we are truly born again of the Spirit and not relying upon religion, reputation or Christian traditions as a foundation for our salvation as did Sardis. Let us be watchful, prayerful and ready for the LORD Who will soon greet us at the Door He has opened for us; may we be prepared to meet our LORD as the chaste virgin, keeping our garments clean and presentable for our Beloved, as did Philadelphia. This concludes the study of the seven churches. Next time, Chapter Four! Until then, the LORD keep and bless each of you!